As a little girl growing up in Los Angeles, I started eating sushi by the age of 7….and quickly developed the tendency to pig-out on the cuisine. I also have a brother who attended college in Japan and an aunt who routinely traveled to Japan with touring drama troupes. These affiliations just cemented me more to Japanese cuisine. As a young couple, my husband and I made frequent trips to China Town in LA to visit the most awesome dim sum joint around, Empress Pavilion (you literally have to arrive around 10:30am for lunch, as the 500 person dining room would have a one hour wait by noon). Later on in our marriage, we found ourselves in friendship with those of Korean background and quickly developed a love all things Korean. We even hosted a sweet Korean boy for 3 months, and made his mama really happy by learning how to cook Korean for him…helping to stave off his home-sickness. Well, with all that said, as a busy mom of three, I find that Asian flavor can make for an exciting, but quick, mid-week meal that my family will devour. So, here I am sharing yet another Asian inspired side dish to round out a quickie meal that packs a lot of punch! 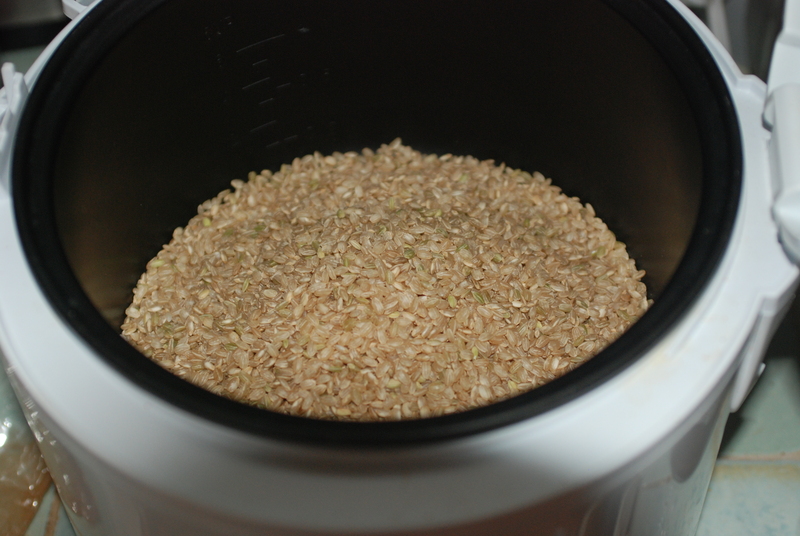 Whether you are using a rice cooker or a pot, measure out 3 cups of rice. As you can see here, I used brown rice for the added nutrition. You can use white or a combo of white and brown, if you prefer the texture and flavor. 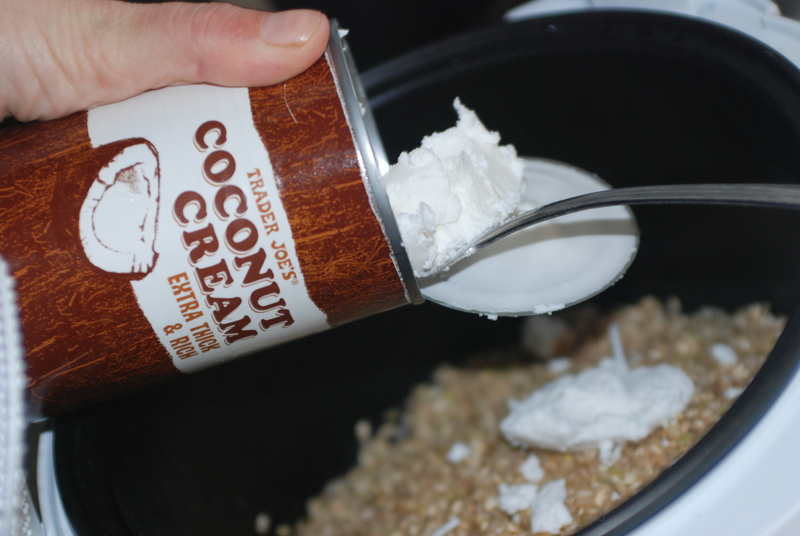 Next, add in a can of coconut cream. You can substitute coconut milk, but the creaminess factor wouldn’t be the same. Next you will add in the water up to the correct level for your rice cooker (or remember your 1 cup rice to 1.5 cups of water ratio, minus the amount of coconut cream/milk). 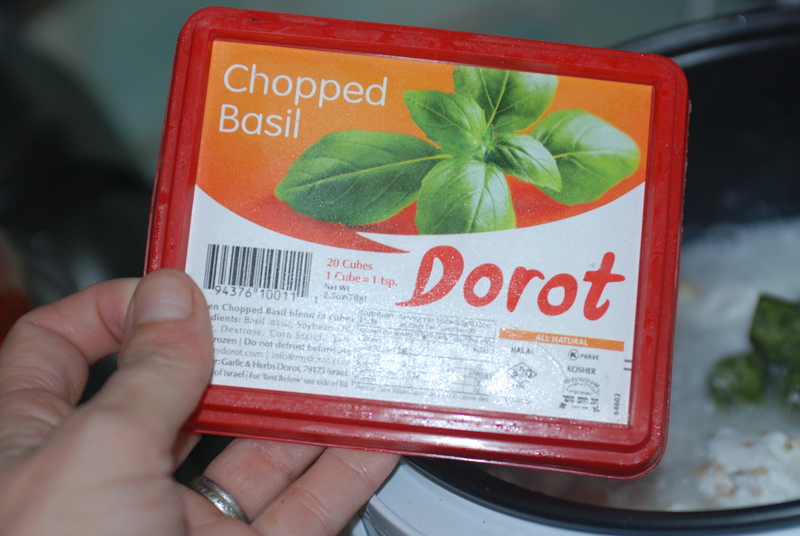 Now, if you have fresh basil handy in the fridge or garden, go for it. 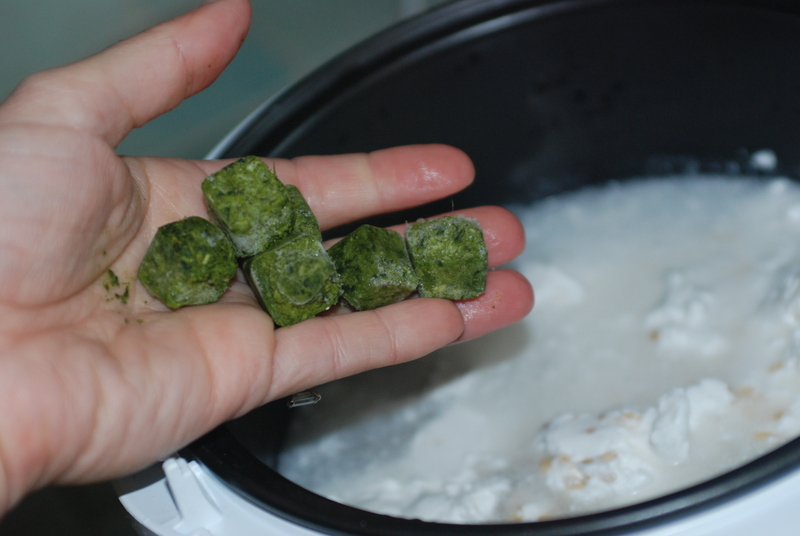 However, I always keep these frozen squares of frozen fresh herbs in my freezer to rescue me in a pinch….and this night was exactly that type of night. 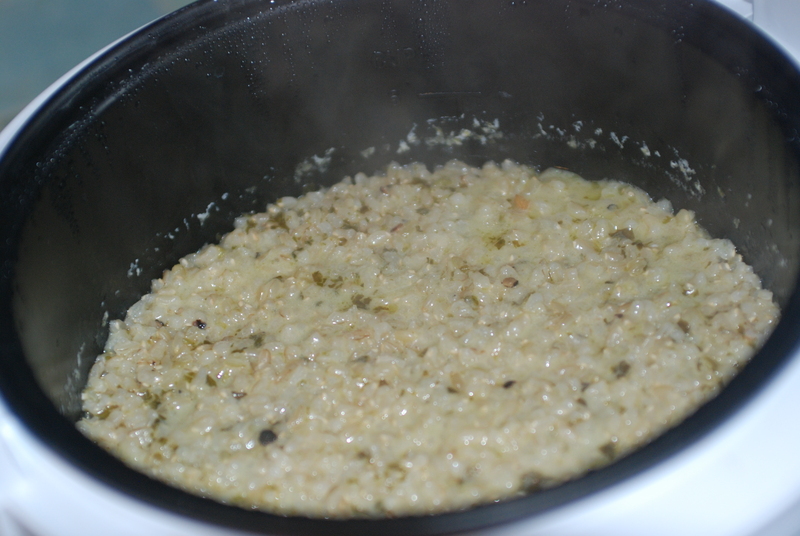 After adding 5 cubes (equivalent to 5 teaspoons), season away with some black pepper and salt. All set and ready to cook! Looking yummy! 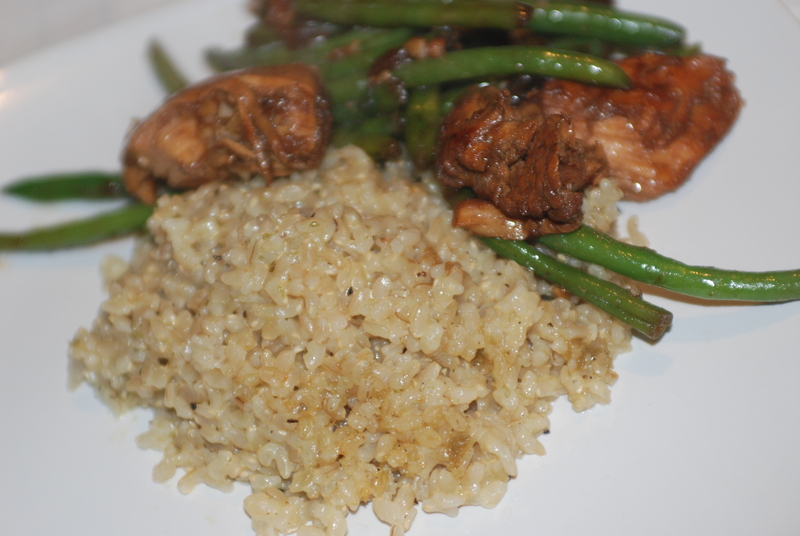 I served it with a super quick stir fry of chicken and green beans cooked with a ton of garlic and some soy sauce, sesame oil, and hoisin sauce. The whole family pounded this meal! This rice is so creamy and flavorful, AND it can be served to any vegan or gluten free friend (an added bonus for your recipe library). 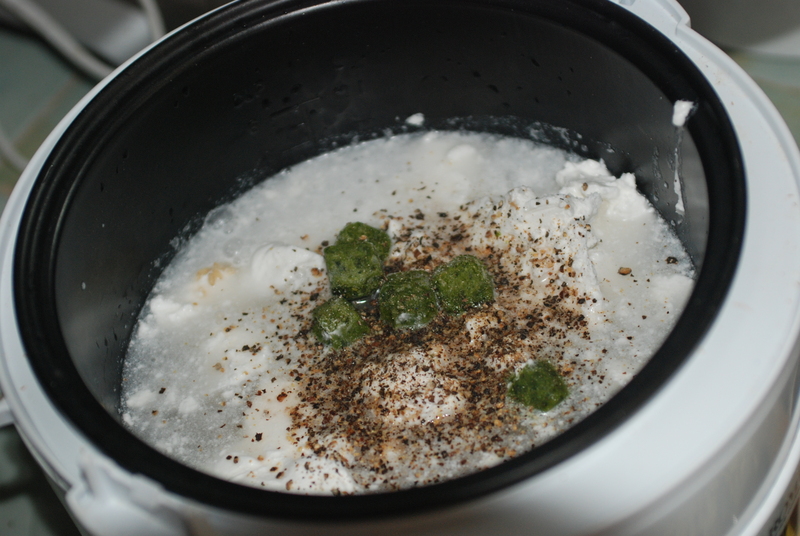 Add all of the ingredients into your rice cooker or pot. Cook as you would just plain rice. Follow package directions. Note: brown rice takes longer to cook than white.